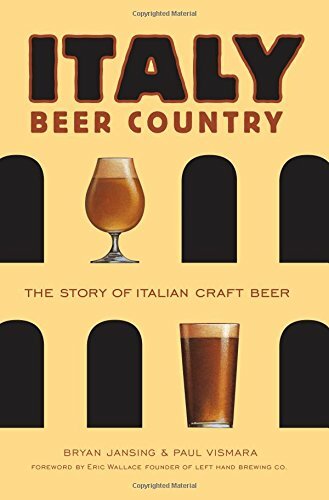 Seventeen years ago, a handful of men inspired a movement -Italian craft beer, Europe's most vibrant beer scene. Thanks to their determination to fight cultural bias and low expectations, the art of beer making has expanded from fewer than 20 microbreweries in 2001 to nearly 600 today, each with its signature brews and personalities. That growth hasn't come without cost as artisans continue to face government roadblocks like high - and complex - taxes and lack of national standards. 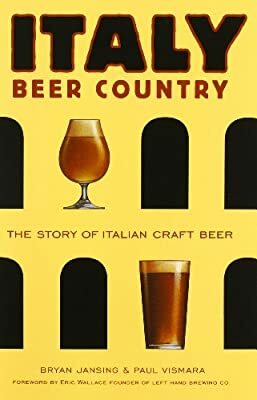 Italy: Beer Country reveals the craft beer movement's humble roots and passionate brewers such as Teo Musso and Agostino Arioli and their devoted patrons, describing a scene familiar to fans of American craft beer. 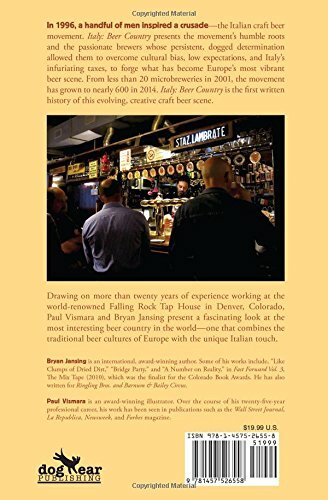 Drawing on more than 20 years of experience working at the world-famous Falling Rock Tap House in Denver, Colorado, Paul Vismara and Bryan Jansing knowledgeably present a fascinating look at an ever-evolving craft beer movement that melds Europe's traditional beer cultures with Italian nuances. 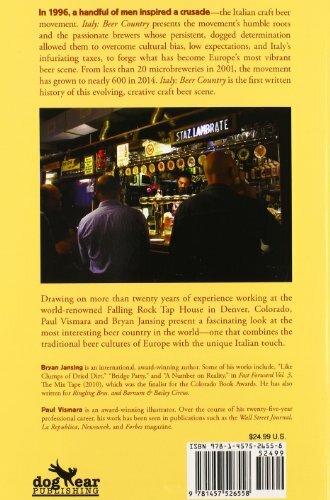 Their passion for the subject shows in their stories about the brewers and the craft beers that made them famous. International award-winning author Bryan Jansing is a master of flash fiction and an underground reporter. Fast Forward Vol. 3, The Mix Tape, a finalist for the Colorado Book Awards, published several of his pieces: "A Number of Reality," "Like Clumps of Dried Dirt" and "Bridge Party." Bryan's other works include "Grand Love," published in Parole in Corsa III in full color sound; and "Spazadura," published in Fast Forward Vol. 1. INsite, Women's Business Chronicles and The Arkansas Valley Journal also have published his writing. Paul Vismara, an award-winning illustrator with 24 years of experience, has published work in the Wall Street Journal, Forbes Magazine and La Republica. He lives in Denver. 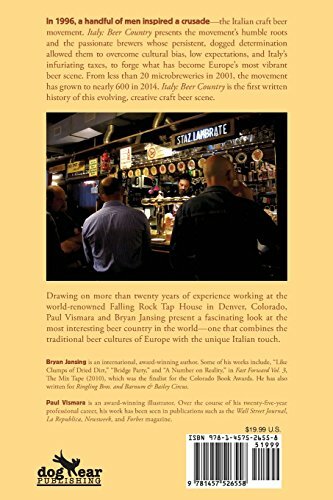 Bryan and Paul began working on the book after Bryan sampled Italian craft beers during a visit to Rome.